Caring Medical and Rehabilitation Services, 715 Lake St., Oak Park IL 60301 USA. Adult mesenchymal stem cells (MSCs) obtainable from autologous bone marrow aspirates have generated tremendous interest in the medical and scientific communities in the last two decades and are currently being investigated by a of interested physicians for use in point-of-care stem cell therapies due to their great potential to differentiate into multiple cell lineages such as bone, cartilage, muscle, tendon, and nerve. However, as these stem cells are found in very low numbers in adult tissue, centrifugal concentration or expansion through in vitro culturing has been pursued to obtain higher numbers of efficacious regenerative therapeutic applications. More recently, some physicians and scientists have chosen to explore use for direct injection of un-fractionated, native whole bone marrow aspirate as a strategy in regenerative treatment regimes. This review examines the potential merits and disadvantages of using either concentrated and culture expanded MSCs versus native whole bone marrow aspirate as key proliferant in direct regenerative injection therapy (RIT). 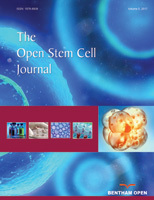 Results from a number of published investigations have clearly shown high potential of various deleterious effects on manipulating MSCs obtained from native bone marrow aspirate either by centrifugal forces or expansion through in vitro culturing; moreover, currently used centrifugal concentration techniques do not significantly concentrate MSCs from bone marrow aspirate, thus, defeating the purpose of this manipulative step. On the other hand, preliminary results and observations of using un-fractionated whole bone marrow injection for treatment of various musculoskeletal joint diseases (for example, osteoarthritic joints) suggest that the procedure is safe and potentially efficacious, with no known deleterious effects as yet reported.